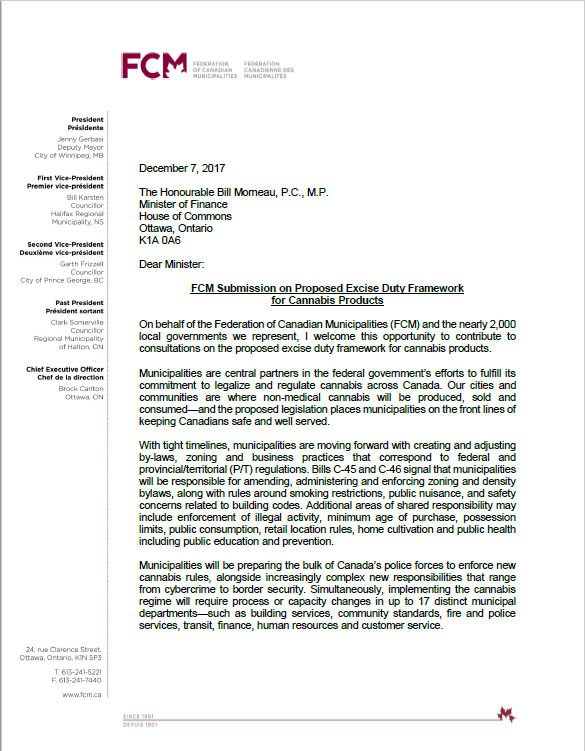 Our cities and communities are where non-medical cannabis will be produced, sold and consumed—and the proposed legislation places municipalities on the front lines of keeping Canadians safe and well served. FCM recognizes the Budget 2017 commitment of $81 million over 5 years that is being made available to provinces and territories to support police training and other capacity building related to enforcement. This type of program could be scaled up to better reflect policing costs, start-up and ongoing, particularly where excise tax revenue is lower than anticipated. Municipalities can play a key role in helping Canada meet commitments for both significant and long-term greenhouse gas (GHG) emission reductions. Municipal leadership in this area is already contributing substantial and cost-effective GHG emission reductions in every region of the country. The Federation of Canadian Municipalities asked EnviroEconomics to summarize what municipalities have accomplished in terms of reducing GHG emissions and to estimate the potential for municipalities to achieve future emission reductions. In 2014, FCM contracted Nordicity to research and report on the state of broadband connectivity in rural and remote communities throughout Canada.